Medicine has become truly amazing. In the 21st century alone, there have been some incredible new inventions. New cancer treatments, precision medicine, all sorts of transplants, creating functioning human organs from stem cells and even 3D printing have filled medical headlines for the past 18 years. The technologies are remarkable, and a result has been a huge increase in clinical trials. As of August 31st, there have been 129 new approvals by the Food and Drug Administration (FDA) in 2018, which is extremely high. So, it’s clear that new drugs and treatments are constantly filling the market. We see commercials for them all the time. But before they’re released to the public, they have to go through a series of tests to make sure they actually work. These tests, called clinical trials, can take up to 10 to 12 years and have several phases. At the end of each phase, the results are evaluated, and if they’re good enough, the treatment is moved along to the next stage. Finally, the FDA either accepts or rejects the drug. If it’s accepted, it’s then marketed to the public. This process can end up giving you a lot of opportunities for investment. Say a biotech company with one big-name drug is about to publish its results at the end of a clinical trial phase. Those results are going to heavily affect the future of that company, whether they’re good or bad. Say the drug makes it past Phase 3 trials, and now the company is waiting to hear back from the FDA about whether it’s allowed to sell its drug on the open market. Especially if it’s a company that’s banking on one or two drugs, that’s going to have a huge impact on its stock. These big gains are happening all the time. Just two weeks ago, a company called ProQR shot up 121% in a day because it released good trial results. A few days later, the stock of another company called Histogenics fell 73% because its Phase 3 trials, which are integral to the company’s growth, fell short of expectations. 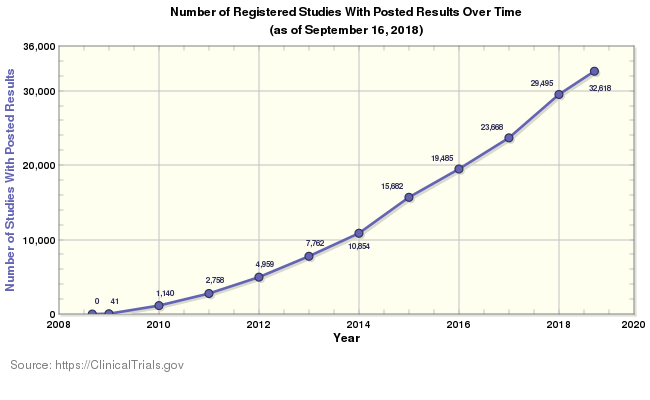 As the chart above shows, the amount of new trials is increasing exponentially. This gives constant opportunities to profit from biotech companies releasing results. Of course, it’s very risky to bet on the outcome of a trial or an FDA approval. But the payoffs can be massive. If you’re interested in finding some possible investments of this nature, there’s a website called BioPharmCatalyst that keeps a list of upcoming events in biotech. You can find it here. Should Tesla Investors Ignore CEO Elon Musk’s Mistakes?